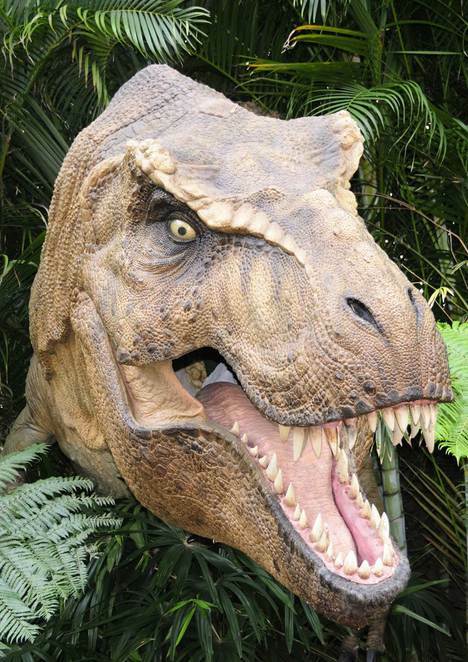 Hundreds of people decided to visit a Staffordshire park in July to see dinosaurs once again roam the earth millions of years after they became extinct. 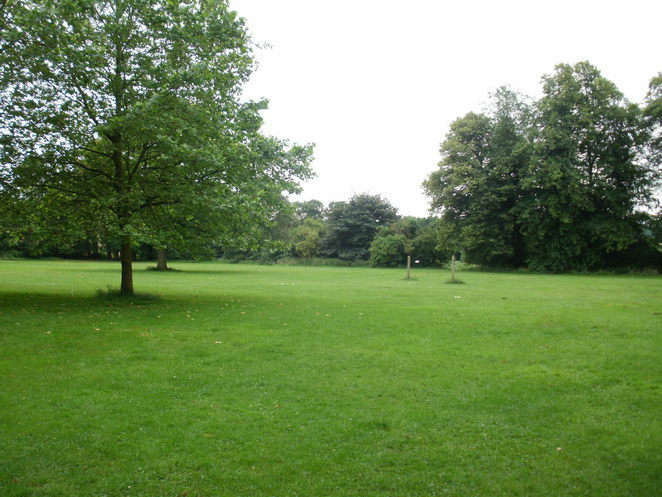 The award-winning Illyria Theatre Company performed Sir Arthur Conan Doyle's exciting adventure, The Lost World, in the delightful open air setting of Dosthill Park in Tamworth. 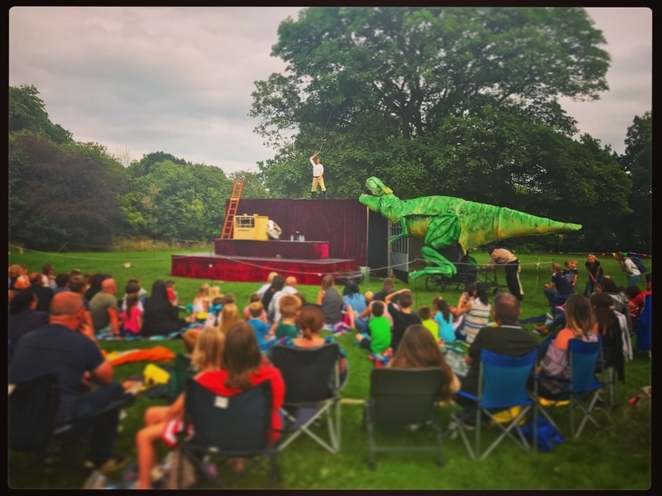 But what made the performance, which took place on the afternoon of Sunday 16 July, even more thrilling was the appearance of life size dinosaurs that proved to be a roaring success with the family audience. The large crowds, both young and not so young, who flocked to Dosthill Park for the outdoor family theatre experience - which was organised by Tamworth Borough Council's Arts and Events team - were happily greeted with a warm and dry day. proving just the ticket as people laid out their picnic blankets ready for the afternoon of entertainment ahead. Theatre company, Illyria, has already proved popular with audiences in Tamworth, as well as across the region, over the past 25 years. The company's reputation for innovation makes them the first open-air theatre company to tackle this type of outdoor touring show. The story of The Lost World, written by the creator of fictional detective Sherlock Holmes, describes four explorers, led by the redoubtable Professor Challenger, who travel to South America following a few vague directions scribbled in a sketch book. They find the beauty of the nature to be beyond their wildest dreams, but end up becoming involved in tribal warfare between ape-men and humans and also encounter terrifying dinosaurs. The show proved a real hit with the audience with one theatre-goer describing it as brilliant and hoping for more open-air theatre performances from Illyria in the future. Ticket prices for The Lost World, which lasted for just under two hours, were £9 for adults and £6 concessions, or £25 for a family ticket based on two standard and two child tickets. Children under the age of two were admitted free of charge but still needed a ticket.